During the Stone Age ancestral humans lived with a variety of animal species along what was an area of wetlands in the middle of the Jordanian desert. The site, in the town of Azraq Basin, has been excavated and has revealed an abundance of tools and animal bones from up to 250,000 years ago, leading to better understanding of how ancestral humans have adapted to this changing environment. 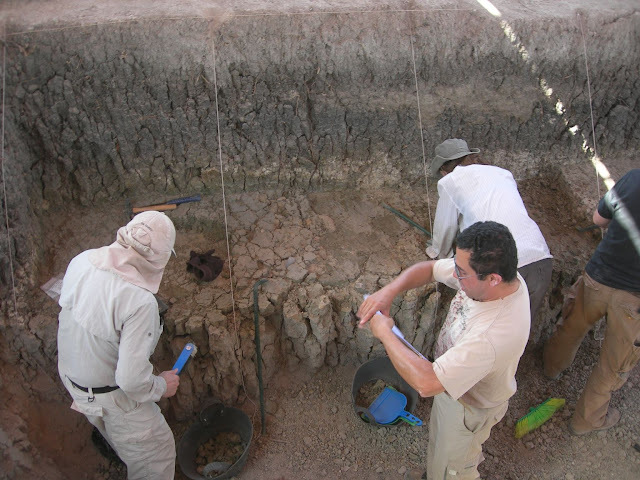 James Pokines, PhD, associate professor of forensic anthropology at Boston University School of Medicine, was a leader of the excavation with a team from the Azraq Marshes Archaeological and Paleoecological Project. The team discovered bone and tooth specimens belonging to wild ancestors of modern-day camels and elephants, as well as horse, rhinoceros, antelope and wild cattle species, among others. Poor preservation of small and less dense bones has resulted in limited conclusions about smaller species of animals that may have inhabited the area during this time. Prior research in the site revealed evidence of butchery, with blood proteins from multiple species appearing on Stone Age tools. "The periphery of the wetlands where large animals drank and grazed would have presented excellent hunting opportunities for ancestral humans. Humans may have also faced their own challenges from other predatory competitors such as lions and hyenas roaming the area," said Pokines, corresponding author of the study. The team's discovery adds important background to a growing picture of land use over time in Azraq Basin. "There are many portions of the globe that we still know so little about in terms of how ancestral humans lived and evolved there and how they adapted to that environment ... we hope to understand how different populations of ancestral humans adapted to this changing, arid environment throughout the Stone Age." The excavation efforts were the outcome of a successful collaboration with Jordanian authorities and according to the researchers has paved the way for future excavations in the region. These findings appear in the journal Quaternary Research.